Paris is one of those cities that encourages you to splurge, whether it be on fashion, fine art, or good food. Given all the Michelin starred restaurants in Paris, we typically splurge on one great meal on each trip to this great city. We have found that one way to save money and still sample some of the best restaurants in Paris, is to avoid dinner time prices and go for a fabulous lunch instead. Many of the best restaurants in Paris offer great gourmet prix fixe lunches for half the price of their dinner menus. Now, none of these lunches come with a price tag that may be acceptable for budget travelers, but this can be a great way for those with a more moderate budget to enjoy a three-star meal. 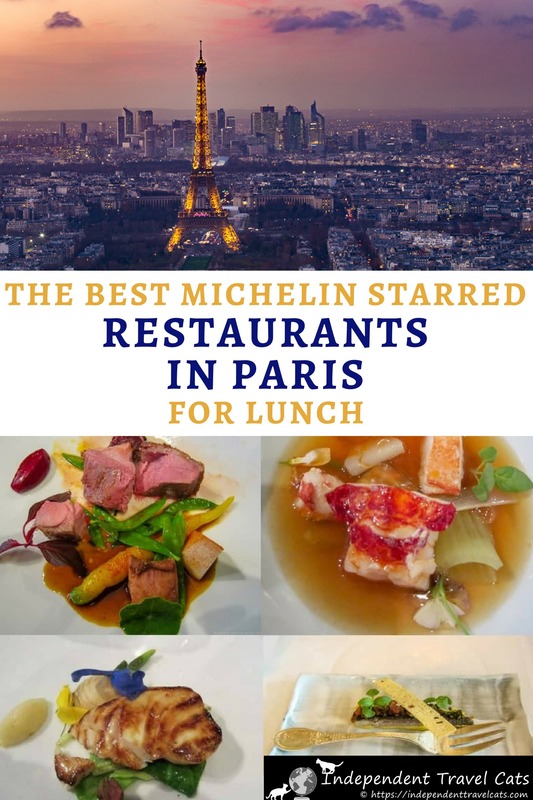 We’ll give you a list of some of our picks for best lunches from Michelin starred Paris restaurants, tell you how to make restaurant reservations in Paris, provide some tips on fine dining in Paris, and tell you about our own experience having lunch at restaurants like L’Astrance and Le Grand Véfour. Here is a list of 24 of the best restaurants in Paris you might want to consider for a lunch splurge during a visit to Paris. We have only tried a few of these ourselves, but we compiled the list based on Michelin starred restaurants that offer less expensive lunch menus. By less expensive, we mean less expensive in comparison to their dinner menus but many of these meals still do not come cheap. 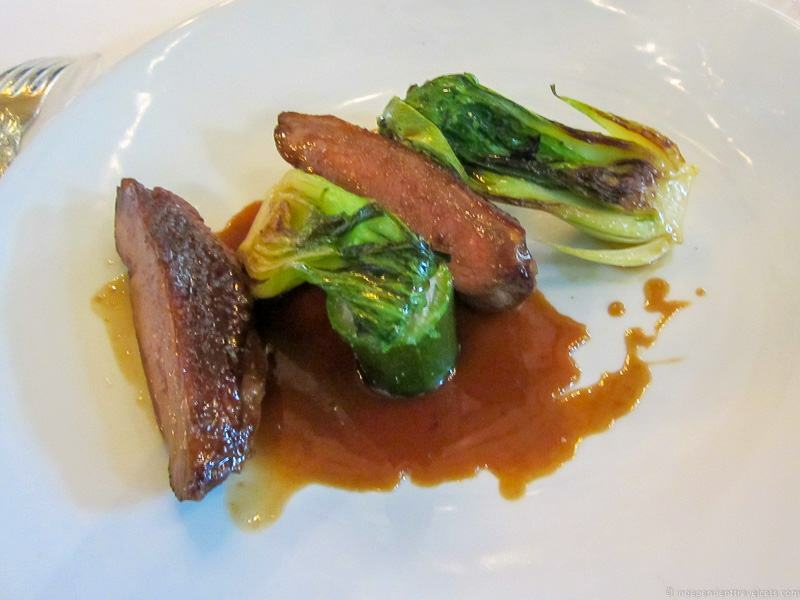 However, it is not difficult to find Michelin-starred Paris restaurants with a set lunch menu in the 40€ to 60€ range. Note that some of the listed lunch menu prices are only offered on week days (Monday through Friday). Some restaurants may not offer a special lunch menu price on weekends and holidays, or may offer it at a higher price. The list is not comprehensive but should give you a good place to at least start if you are looking for a delicious lunch experience in Paris. These restaurants also, of course, all serve dinner. We have included one-, two-, and three-star Michelin starred restaurants across a range of prices and you can look up a complete list on the Michelin website or in their famous printed red restaurant guides. This restaurant serves modern French food made with seasonal and market fresh ingredients in a minimalist modern setting. Lunch menus are considered reasonable here at 44€. Book Reservation: Book online reservation via Fourchette here. This restaurant specializes in quality seafood sourced mainly from France, Spain, and the Mediterranean. Your food comes with views of the Eiffel Tower and lunch menus start at 48€. Book Reservation: Make online reservation here. This solid one-star French restaurant offers modern food and decor. Lunch menus start at 59€. Book Reservation: Make online reservation via Fourchette here. This French restaurant in Paris is run by chef Alain Passard and is known as one of the best restaurants in the world. It is also well-known for its organic produce and vegetarian friendly meals. Although by no means cheap, you can get a 9-course lunch here for 145€. Book Reservation: Book online reservation directly via restaurant website. 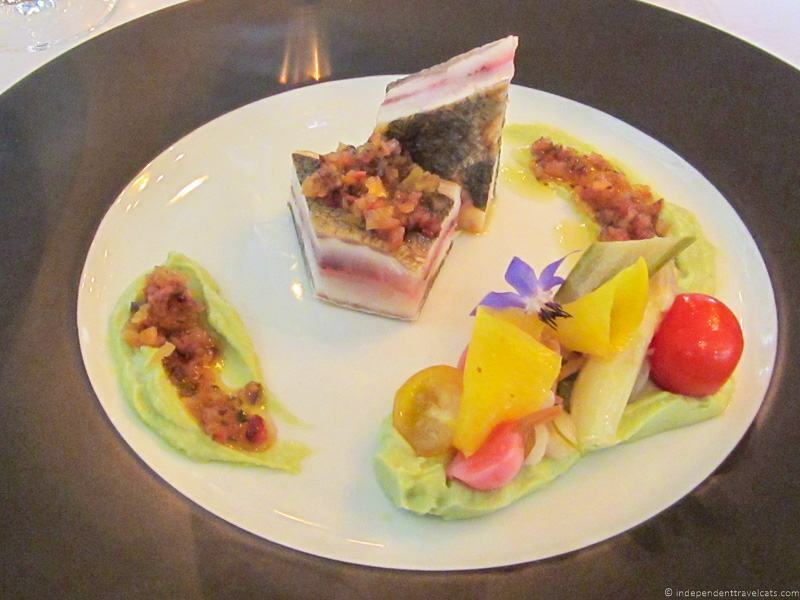 This highly acclaimed Paris restaurant Astrance is constantly ranked as one of the best restaurants in the world. You can sample Pascal Barbot’s “surprise menus” at lunch for 70€ (3-course) or 120€ (5-course). 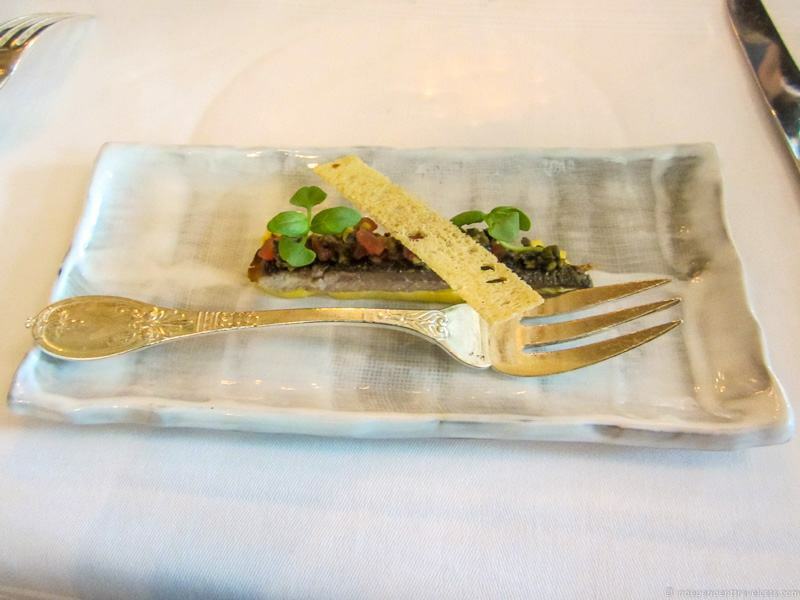 The newest of Joël Robuchon’s “atelier” Paris restaurants, it has a long counter with stools, red and black decor, and simple creative dishes that are a mix of French, Spanish, and Asian influences. It is located near the Arc de Triomphe and lunch menus range from 49€ to 89€. This modern French restaurant with contemporary and colorful decor is often considered one of the best value 1-starred restaurants in the city. You can enjoy their 3-course lunch menu for 37€. Book Reservation: Book online reservations here. This French bistro celebrated its hundredth birthday in 2012 and is still going strong under the control of Alain Ducasse. You can grab a classic lunch at this historic and chic Parisian bistro for 38€ . Even if you can’t afford a suite at the posh Le Royal Monceau hotel, you can dine at ones of its restaurants. The Michelin-starred Il Carpaccio serves Italian food and you can get an à la carte lunch here starting at about 59€. The hotel also has a newer Japanese inspired restaurant called Matsuhisa. 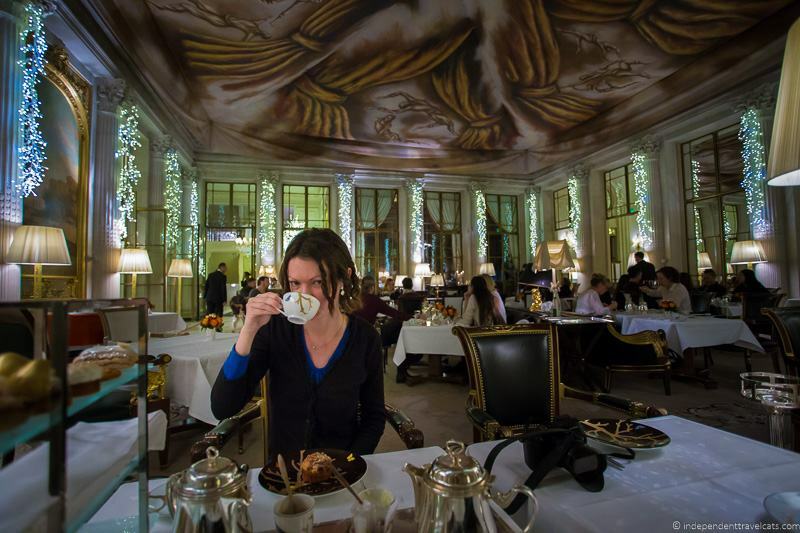 This exquisite French restaurant can be found at the Four Seasons Hotel George V and offers a 145€ for 4 dish menu or 210€ for a 6 dish lunch menu. They have significantly raised their prices as they used to offer a 95€ lunch menu. 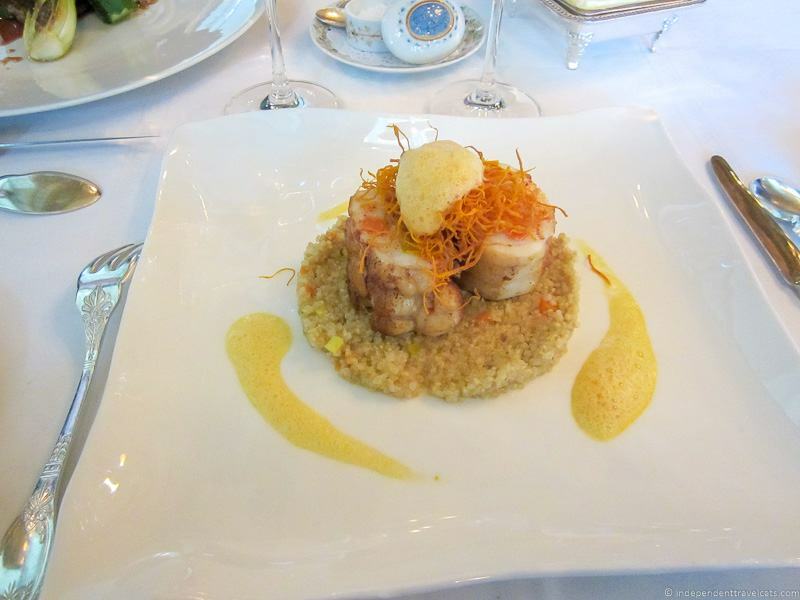 Although lunch at Le Cinq is pricey, it is much less expensive than the 330€ dinner menu! Book Reservation: Book online reservation here. This French restaurant serves modern French food in a contemporary setting and emphasizes fresh ingredients. The daily lunch menu will set you back 55€. This bistro offers contemporary French dishes that highlight their high quality ingredients. Known for their wine list. Offers set lunch menus starting at 42€. Book Reservation: Make reservation here. This venerable Paris restaurant oozes history and offers a prix fixe lunch menu for 115€, which might be considered a steal compared to its 298€ dinner menu. Book Reservation: Make online reservation directly via restaurant website. JIN serves traditional Japanese food and has already earned its first Michelin star. You can get the sushi lunch menu for 65€ and an omakase menu at 95€. This French restaurant is one of Paris’ oldest and is also one of the most luxurious. It is set serenely in a neo-classical pavilion within the gardens of the Champs-Élysées. Simple lunches menus start at 82€. A full set lunch menu is offered for 135€. Le Meurice is located in the beautiful Hôtel Le Meurice and the interior of the restaurant reminds you a bit of Château de Versailles. The French restaurant, now run by Alain Ducasse, offers a prix fixe lunch menu for 130€. However, you can get the 2 or 3 course lunch menu for 85€ or 110€. Book Reservation: Make online reservations here. Pierre Gargnaire is world renowned for his fusion cooking and you can come here for modern and creative French cuisine. The restaurant offers a prix fixe lunch menu for 155€. Book Reservation: Make online reservation via restaurant website. This centrally located restaurant sits among the remains of the Couvent des Grands-Augustins (a former convent that was mainly destroyed during the French Revolution), the place where Louis XIII was proclaimed King of France in 1610. The historic setting and classic French cooking might have you feeling like royalty. The restaurant offers a prix fixe lunch menu for 65€. Book Reservation: Book online reservation via restaurant website. Saturne offers a menu with an emphasis on organic ingredients and artisanal products, and serves natural wines. In a former 1918 Art Nouveau bistro building, the interior of the restaurant has a Scandinavian feel. Offers a 3-course set lunch menu for €45. This restaurant with neo-industrial decor offers a seasonal contemporary menu that highlights the use of fresh ingredients. Offers a 4-course set lunch menu for €42. This restaurant offers up Japanese food with a French twist with young chef Hiroki Yoshitake at its helm. Might be a good spot for lunch if you are spending the morning exploring sights on Île de la Cité as it hides out a short walk from Notre Dame Cathedral and offers a set lunch menu for 65€. Book Reservation: Book reservation here. You can dine on French food in the former 19th century mansion of the Duke of Morny. At one time, La Taillevent held the longest-running Parisian restaurant to have a 3-star rating until it lost a star in 2007, but it is still considered one of the best restaurants in Paris. You can have a set lunch here for 88€. This classy traditional French restaurant comes with a blockbuster view of the Notre Dame and is most known for its ducklings. You can have a set lunch here for 105€. Book Reservation: Book reservation via restaurant website. This restaurant serves classic French cuisine with a twist using seasonal ingredients. 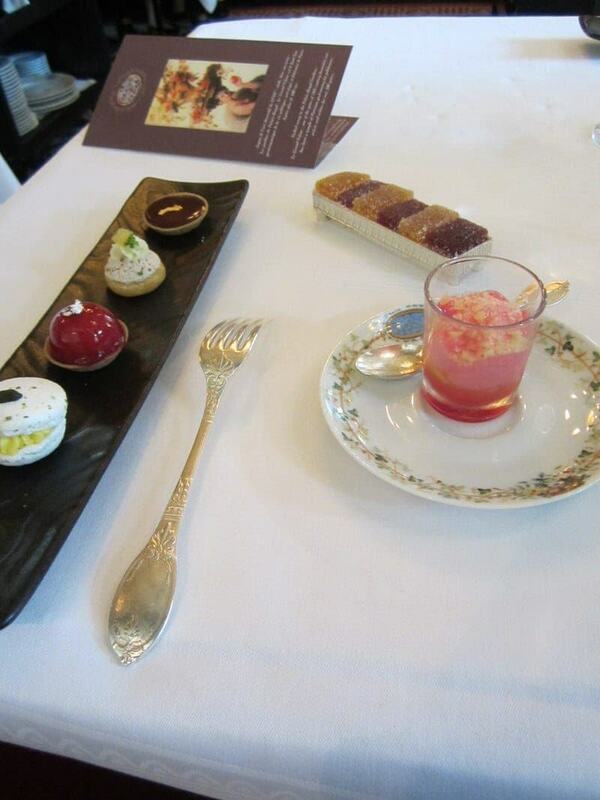 There is an offered set lunch menu of 49€ for 2 courses or 55€ for 3 courses. If you are looking for restaurants within a certain area or neighborhood, we have also created a map and listed then by neighborhood. Paris is divided into 20 administrative districts called arrondissements and we break down the best restaurants in Paris for lunch by each arrondissement. 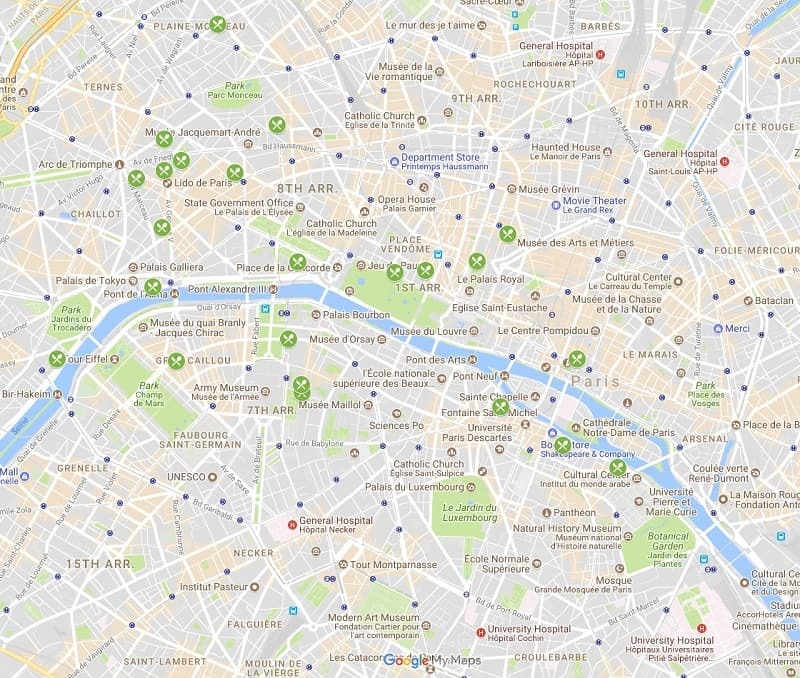 This way you can find ones that fit your itinerary or are located near your hotel. We highly recommend making reservations in advance for any restaurants you want to eat at in Paris, especially Michelin starred ones. Reservations are often essential at the mentioned restaurants and tables may be booked up weeks or even months in advance at the most popular places. Many restaurants, especially for lunch, may have only one seating and so space is limited. You can book reservations by calling the restaurant, booking through the restaurant’s website, or using a third party online restaurant booking site like La Fourchette (The Fork in English). We like to use La Fourchette, the most popular online restaurant booking in France, to make reservations when possible as it is easy to use and eliminates issues related to language barriers and time zone differences. The booking website also includes information about the restaurants, special discounts, user ratings and reviews, and sample menus. 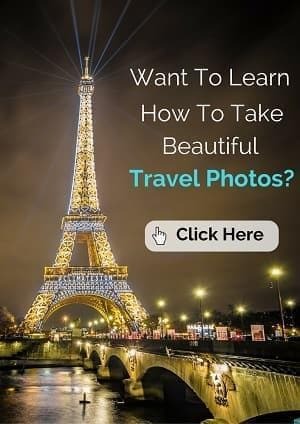 If one of your reasons for coming to Paris is to eat at some of its finest restaurants, I’d recommend considering booking accommodation in the 1st arrondissement (see best lodging options here), 7th arrondissement (see hotel options here), or 8th arrondissement (see nearby hotels here) in Paris. The largest concentration of restaurants on our list was in the 8th arrondissement, the Élysée neighborhood. Some of the recommended restaurants are located within some of Paris’ most renowned luxury hotels such as Hotel George V (8th), Le Royal Monceau (8th), and Hôtel Le Meurice (1st). First, the Michelin guide, while well-known and well-regarded, doesn’t always get it right. It does not mean the food at a starred restaurant is better than food at a non-starred restaurant. Decor, presentation, service, venue, and a number of other factors are taken into account, not just the actual taste of the food. You can enjoy great meals all over Paris at non-Michelin starred restaurants (and generally with a much lower price tag!). Note that some of the lunch menu prices are only offered on week days and some are not offered on weekends or holidays, or are offered at a higher price on weekends. If your budget does not allow for a Michelin starred restaurant, consider trying one their designated best-value restaurants or Bib Gourmand restaurants, which are identified in the guide and online by a red symbol depicting the head of Bibendum, the Michelin Man. These restaurants are low to moderately priced restaurants, generally frequented by locals, and considered a good value. 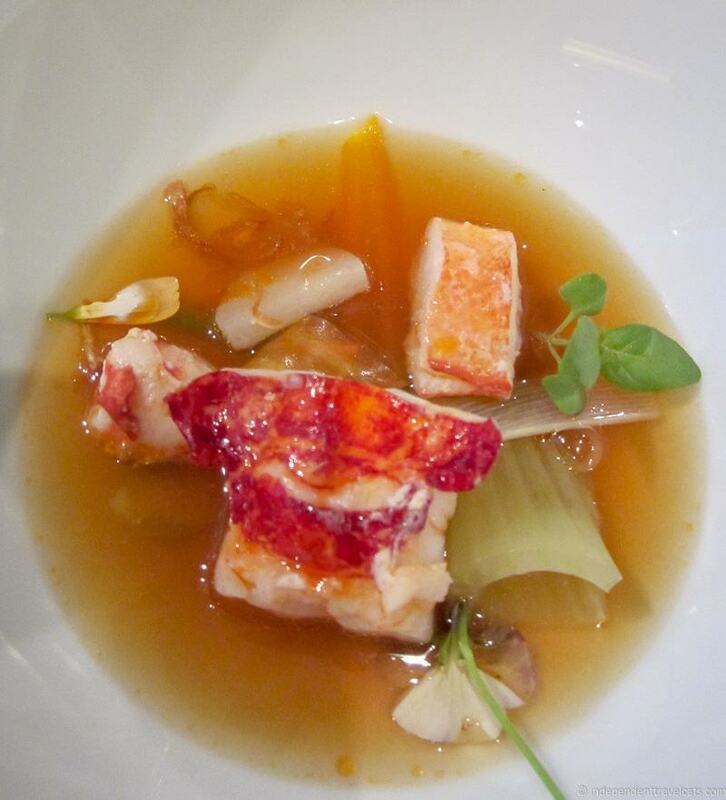 Most of the Parisian restaurants that receive Michelin stars serve French cuisine and tend to be more traditional. However, there are a few Japanese restaurants, one Chinese, a couple of seafood, and one Italian restaurant on the list, but ratings tend to favor French and Japanese style cuisine. Not surprisingly, Tokyo and Paris compete for the most starred restaurants. If you are new to fine dining, I would suggest starting off with lunch at one of the less traditional and formal restaurants to feel more comfortable. Wherever you go, practice good manners, but also feel free to ask questions when you don’t understand something or want to know more about a dish, ingredient, or wine. One of the great things about fine dining is being able to learn more about food and unique ingredients. 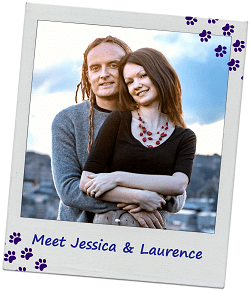 Staff members are often happy to answer your questions, and most speak at least some English. 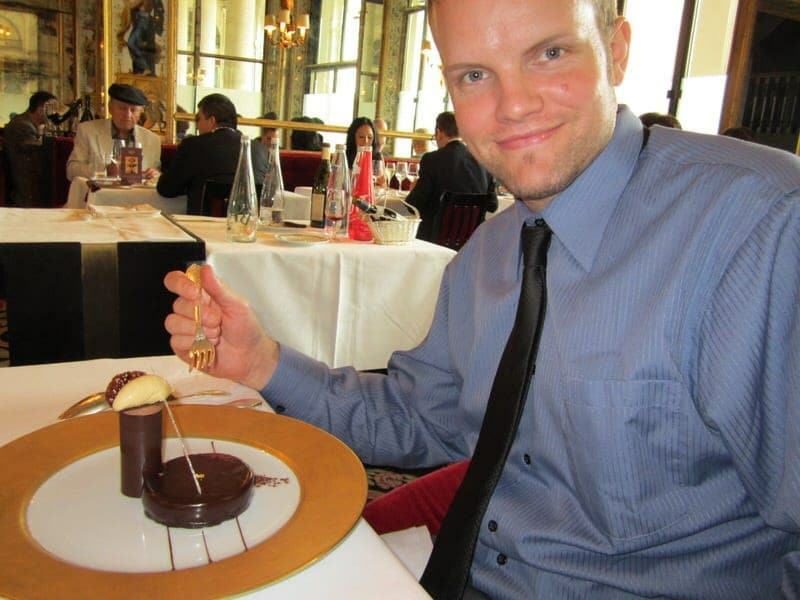 Rude people exist everywhere in the world but we’ve had very good experiences when dining in Paris. If new to fine dining, expect higher prices combined with smaller food portions (crazy I know!). In many of these restaurants, food come in a series of courses with fairly small portions. Fine dining is much more about the experience of trying out new tastes and enjoying excellent service than filling you up; however, you should not come away from a meal hungry! Most restaurants, particularly for lunch, only have a prix fixe or set menu, where everyone receives the same courses and there may or may not be some options. Some restaurants may also have à la carte options for lunch, but these tend not to be as great a value compared to the set menus. Lunch at a great restaurant can be a great way to sample some of the restaurant’s great cooking and service at a fraction of the cost; however, remember the two are not directly comparable so gauge your expectations based on past lunch reviews not dinner reviews. When choosing a restaurant, make sure you factor drinks, tips, and any other extras into your decision. Many menu prices include taxes and a certain level of gratuity, but most do not include wine or other drinks. Adding wine pairings can almost double a meal price in some restaurants. 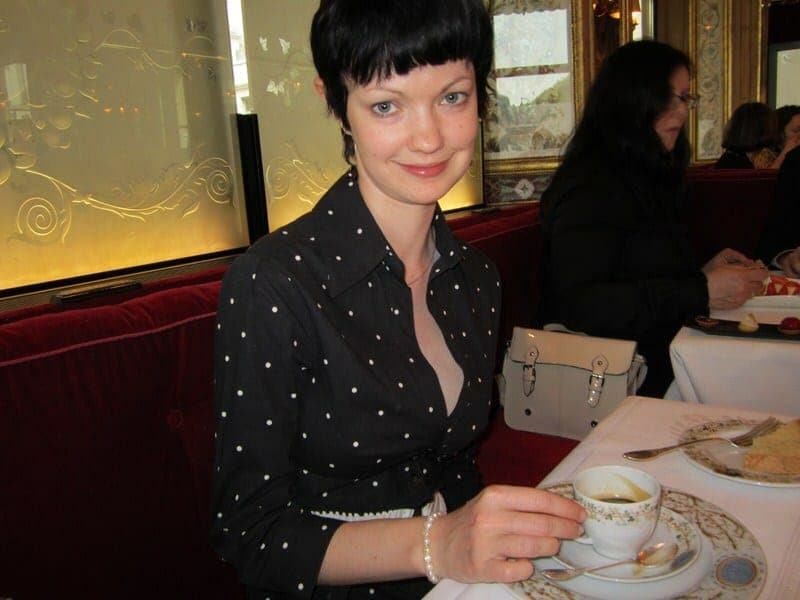 If you enjoy afternoon tea, I would definitely recommend consider booking one in Paris. 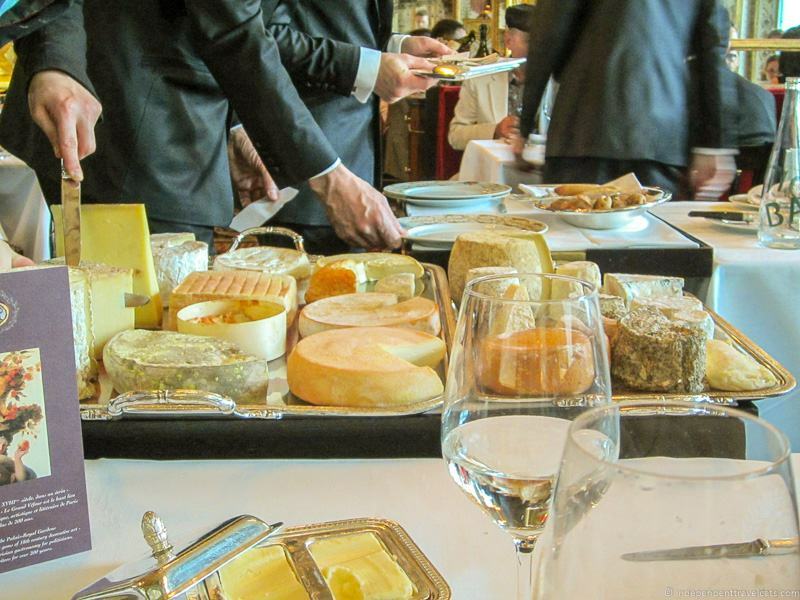 These are offered at some of Paris’ top luxury hotels and are another great dining experience in the City of Lights. See our guide to the best afternoon teas in Paris. Make reservations well in advance if there is a certain restaurant you really want to try. Some of the most popular restaurants can book up months in advance. Some take bookings online or via email while others can be booked only by telephone. Most of the staff taking reservations speak some English. Note the dress code. Many of these restaurants require smart causal to formal attire. While women generally have it easier, men may be required to have a jacket and/or tie so check ahead to be prepared. If you are a woman, especially if dining with a man, you may be handed a menu with no prices. Old-fashioned and sexist perhaps, but it is not considered good etiquette for ladies to view the prices of their meals in some restaurants. So you may need to confer with your partner before ordering. Check prices of things before you order. Too often, people feel uncomfortable asking the price or assume that something being offered is included in the fixed price. If you are unsure if that wine or cheese course is included in your meal price, ask before you get left with a larger bill than you expected. Enjoy yourself! You are in Paris eating a wonderful lunch, savor it, and make an afternoon out of it. Be sure to leave yourself plenty of time to enjoy the meal. 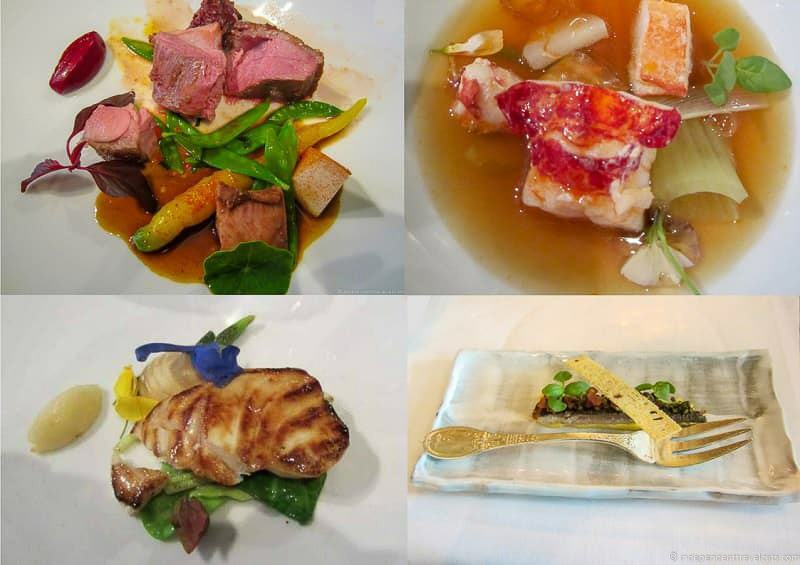 To give you an idea of what it is like to have lunch at a Michelin starred restaurant, we’ll share our experiences having lunch at 3-starred L’Astrance and the 2-starred and historic Le Grand Véfour. 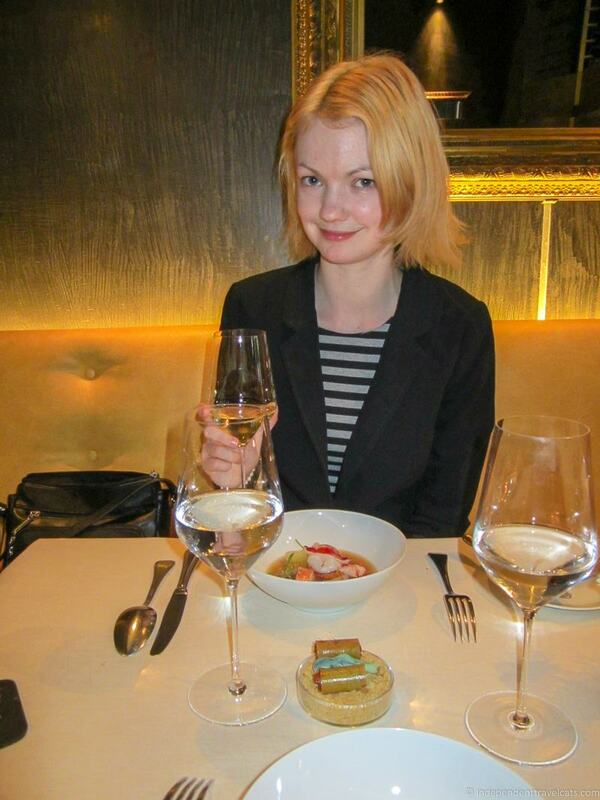 These were the first 2 Michelin restaurants we ate at and are both still great options. 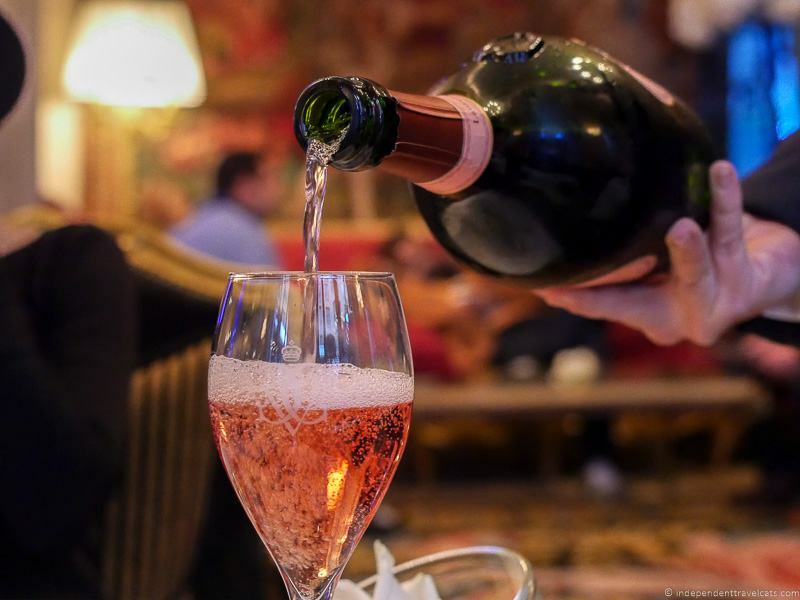 The two restaurants offer very different experiences in that Le Grand Véfour is one of the oldest and most traditional restaurants in Paris and L’Astrance is a much more modern one. We chose L’Astrance for our first three-star meal in Paris because of its great reputation, amazing reviews, and for having one of the best-value 3-star lunches in Paris! 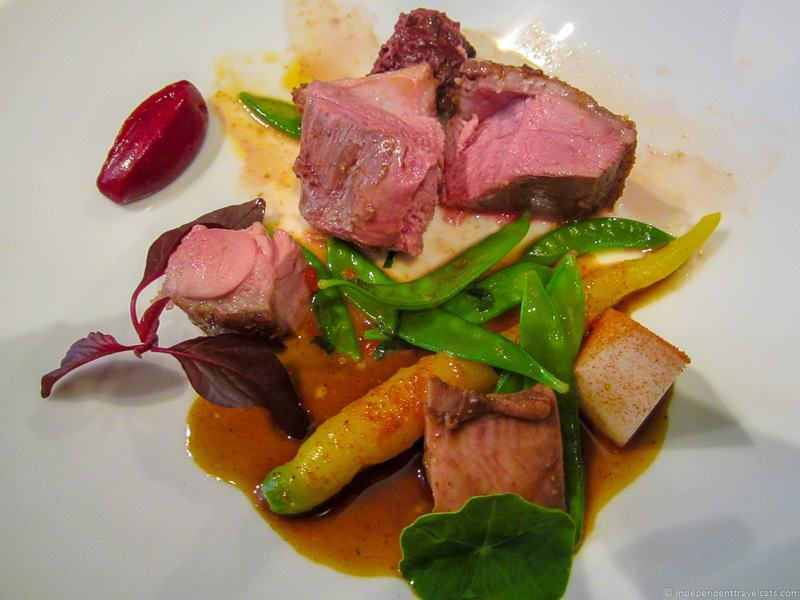 The French food offered by Pascal Barbot is modern, seasonal, and creative with some South Pacific and Asian influences. This restaurant is a bit away from the city center, hidden in a posh 16th neighborhood across the river from the Eiffel Tower. Make sure you make a reservation well in advance as it is very popular and has fairly limited seating. We actually arrived here 15 minutes late for our reservation, but no one commented and we were seated on arrival. Other diners consisted mainly of couples, with one large table of French businessmen and one of Japanese women. We ordered the set 3-course lunch menu (a 5-course menu was also offered), and I also ordered one glass of white wine with the meal and a shot of espresso following the meal. When you order at L’Astrance, you choose the number of courses and then the actual meal is a surprise! They do ask about any allergies or food preferences, but otherwise you don’t know what you will be getting until it arrives at the table which was fun. Despite being 15 minutes late and feeling a bit harried when we arrived, our dining experience here was quite excellent. The “surprise” aspect was appealing to us and we loved all the dishes with the exception of one of the dessert trio which was this sour pink grapefruit sorbet with crushed pistachios. Our meal ended with honey chestnut madelines, fresh fruit, and jasmine flavored eggnog served in hollowed out eggshells. The food here was definitely top quality and service was excellent. We were quite pleasantly surprised by the quantity of food included in the 3-course lunch menu and felt like it was just the right amount of food. We left full and very happy. The only minor complaint was that at one point I felt a bit pressured to order another glass of wine after finishing my first, but I didn’t want another and did not order it. We also felt at times given the fairly small room, that it felt a bit less intimate than we would have preferred. If you are looking for modern decor and cooking, excellent service, and the chance to try a 3-star meal for 70€, you probably can’t find a better place in Paris than Astrance. We chose this solid 2-star French restaurant for our lunch splurge in Paris for a couple of reasons. 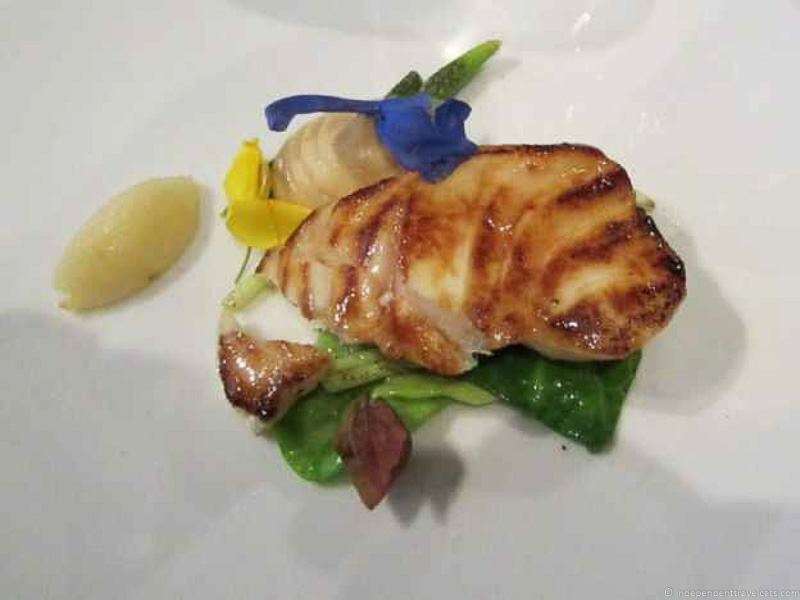 First, the food by chef Guy Martin, which is a mix of traditional and modern cooking, consistently gets high praises. 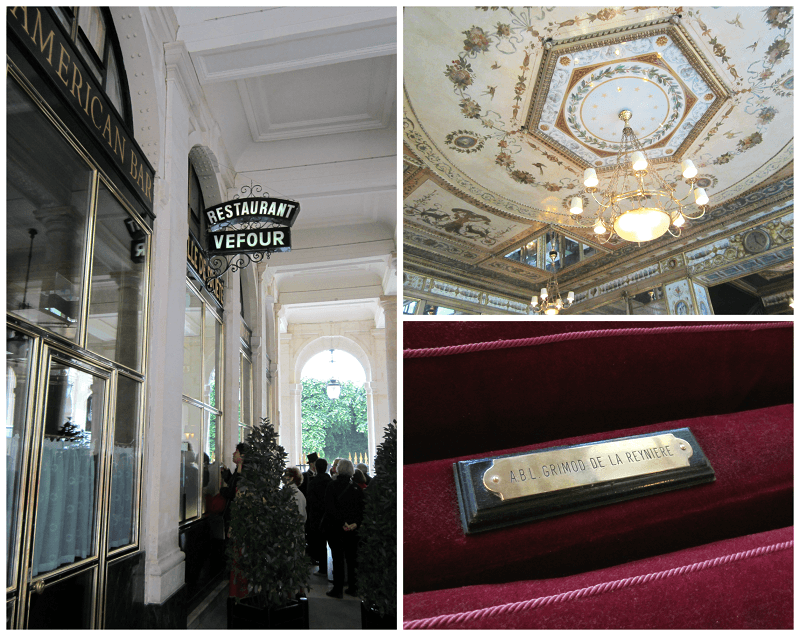 But it was the decor and history of Le Grand Véfour that made us really want to come here. This grand restaurant opened its doors to diners in 1784 and has survived through wars, revolution, bombings, fires, and a succession of its own personal triumphs and failures. It has played host to royalty, politicians, celebrities, and the literary crowd over the centuries. Today, you’ll still find it tucked away in the beautiful galleries of the Palais Royal. After an evocative morning visit to the Mémorial des Martyrs de la Déportation, we headed to the Palais Royal and arrived on time for our 12:30 lunch reservation. We were greeted and promptly seated. The inside of the restaurant is very beautiful, with early nineteenth-century neoclassical décor of large mirrors in gilded frames, chandeliers, and painted supraportes. We were seated in a red booth and each seat bears a brass name plaque of a famous past patron who favored the seat. Our two name plaques bore the names of diners Joséphine de Beauharnais, who was the first wife of French Emperor Napoleon I, and Alexandre Balthazar Laurent Grimod de La Reynière, a Parisian lawyer who became one of the first French food critics. Not too shabby past company! Overall, we had an excellent and delightful meal at Le Grand Véfour. The staff were very nice, polite, and attentive. Most were helpful despite our poor French and were happy to explain the French menu items to us in English. Some of the dishes were excellent and some were just very good. We were very full by the end of the meal and sadly could not eat all the little treats and spongecake! The service was not without imperfections, although these were minor: 1) found a couple of fruit seeds in my appetizer that must have been missed, 2) water was never refilled once after being requested, and 3) when leaving our umbrella was not returned to us with our jackets so we left without it before noticing and having to run back in later (it has fallen down from the hanger into the recesses of the coat closet). This is a great place to sit and take in the ambiance, and we wished we would have left a bit more time for lunch. However, we had planned to see the fashion show at Galeries Lafayette at 3:00pm so ended up being rushed once we left the restaurant. 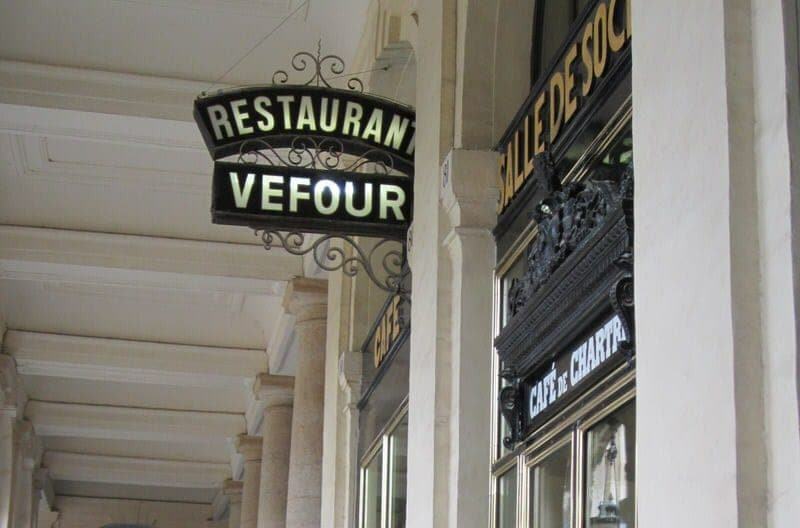 If you are looking for a traditional and historic French restaurants in Paris for a lunch splurge, I’d definitely recommend considering a meal at Le Grand Véfour. 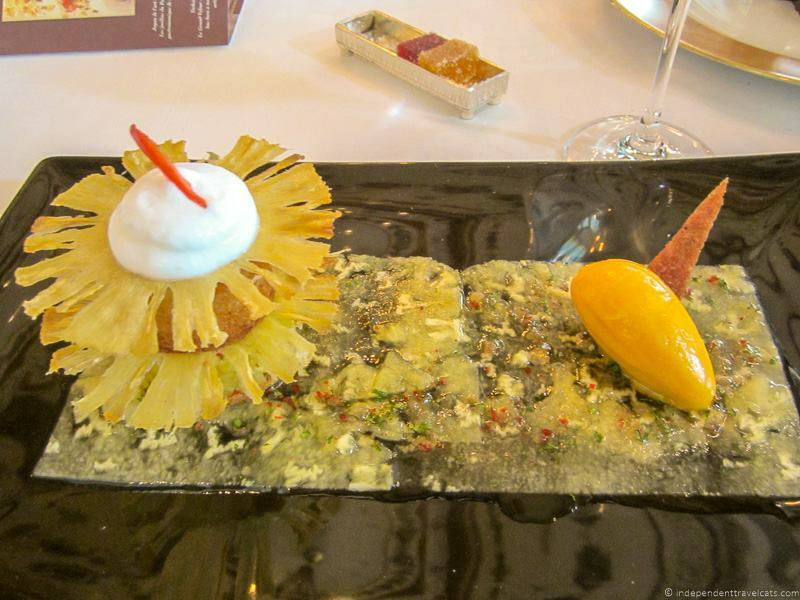 Would you consider a lunch splurge at a Michelin starred restaurant in Paris? 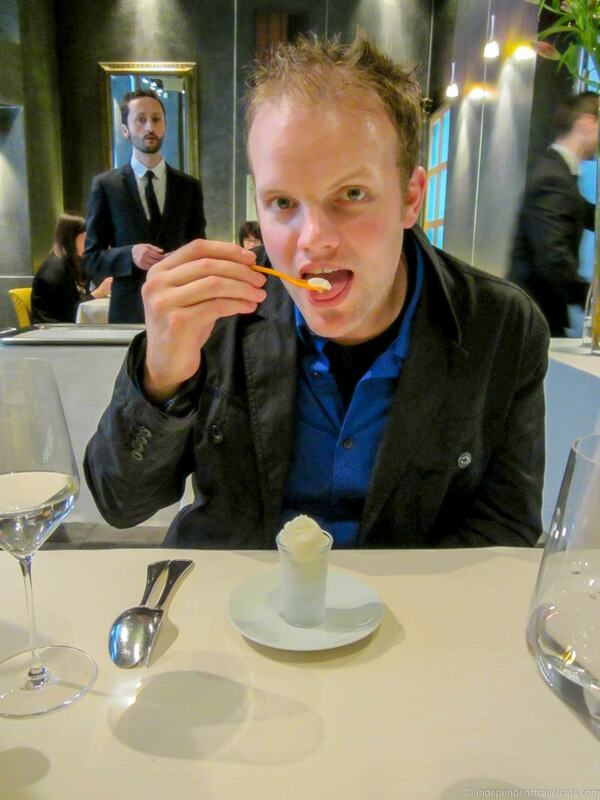 Have questions, or have your own recommendations or tips for a “good value” Michelin restaurant in Paris? As always, we love hearing from you! How does the cheese course work? By that I mean, can you chose to have as many cheeses as you want? Hi Aaron, Thanks for reading our post about Paris lunch options. I am guessing you are referring to the Le Grand Véfour cheese course? We were invited to choose some cheeses without a specific number of choices being given. Most people chose a few, but I am sure you could select several cheeses to try. Enjoy lunch here if you end up making a reservation! You answered my question. Thanks! I have yet to read about anyone saying you can only get a limited number of cheeses during a cheese course. I love cheese and would find it tough to choose just one or two of the choices. Thanks for the great posts! Keep it up! All of the food looks wonderful! We don’t travel but some of the tips are still great for local high end dining. Hello Carla, you are absolutely correct, most of these tips are applicable to fine dining any where in the world. Many people don’t need to travel too far to find a nice restaurant. Thanks for this great list! Do you know if any other restaurants on this list (aside from Arpège) that also cater to vegetarians? I am a lacto ovo vegetarian, but my husband is a meat lover. We’d like to splurge on a fabulous meal in Paris where neither of us will feel left out. Hi Dorie, I do not know without checking as neither of us are vegetarians, but I know that many top restaurants in Paris will cater to vegetarians (as well as those with food allergies) when possible. But there are a few restaurants which do not allow any substitutes on the set menus, but I think most will do so if you let them know ahead of time when making a reservation. I think the best bet would be to choose your top three and then contact each to check. They may be more inflexible at lunch when the menu is set and more narrow, but I am sure you will find restaurants which will be willing to accommodate you. Good luck! This post made me hungry! I’ll definitely be back if I plan a trip to Paris. I’ve actually been once already but on a school trip that 0nly went to Paris Disney. What a waste! Also interesting observation about being a lady and having no prices on the menu! 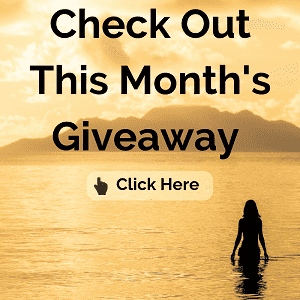 Wow…great list and tips! Wish I had this for our trip 🙂 We went to Arpège and I was disappointed. The food really fell short on expectations and the serve was good but not the outstanding. Some of our other dining experiences the service was almost like a ballet. I liked the concept as I wanted innovative/different from some of our other choices. 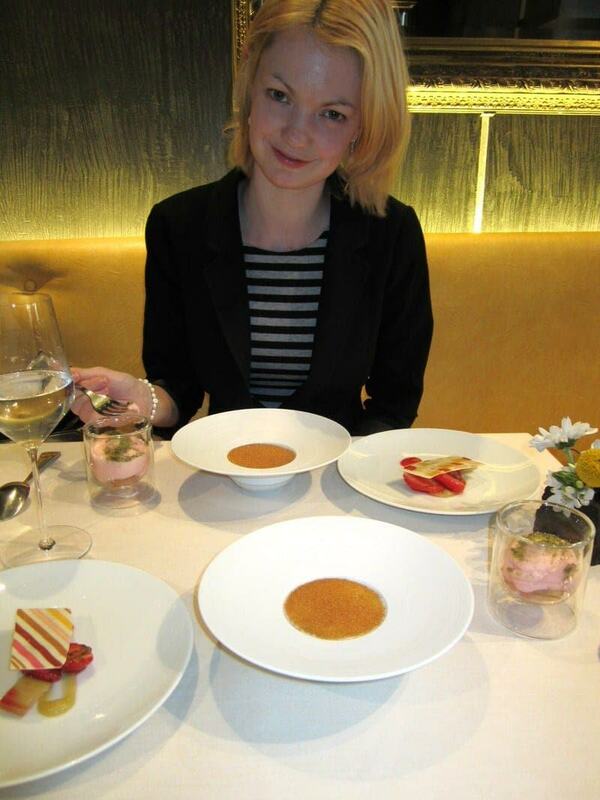 I have a post on some of the other places we ate at in Pairs (none of the others were 3 Michelin). Hi Mariah, sorry to hear about your disappointing experience at Arpège. We’ve been lucky so far with nicer restaurants, but have definitely had some poor meals (and great ones) in budget and mid-range places in Paris. Hi Rosie, sorry to hear about your disappointing meal in Paris. I think that everyone has one of those occasionally (we’ve had a couple in Paris), but it is extra disappointing when you’ve spent your money on a nicer meal expecting a good experience. Hi Alyson! We were just in Germany last year for a couple of weeks and loved every minute of it! Germany doesn’t have a ton of Michelin starred restaurants compared to France, but there are lots of great places to eat. Also, check out our posts on Germany as you begin planning your trip; we’ll be updating them slowly over the next year so stay tuned! Such excellent advice. No matter what eating the fixed menu at lunch is always cheaper. We’ve been renting a lot of houses in France during the summer, and we love to languish and relish a long lunch with a fixed menu and a good wine pairing. I love that you prepared by making a list…really good advice. I haven’t been to Paris in awhile…I guess now I have another reason to go. Wow. 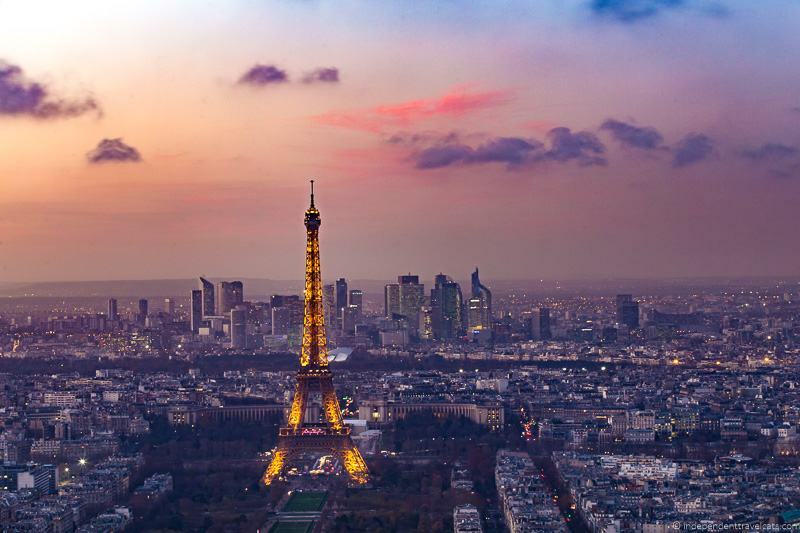 We’re just about to visit Paris in a few weeks, so…what an overview!! Of all the restaurants we’ve only been to Benoit, so thanks for tips! Glad these were helpful, and have a great time in Paris! It is definitely one of our favorite cities. I’ve eaten in michelin restaurants in the uk and experienced fine dining in Italy, but not Paris, yet. I remember going to Cafe du Trocadero for dinner one evening and that has an amazing view of the Eiffel Tower. I would love to try a michelin place in Paris. I love your polka-dot outfit in the bottom pics, so chic. I think Paris (or France in general) is just a great place for fine dining since a lot of the standards originally came from the French. That experience at Cafe du Trocadero sounds very nice–I think great views can really make a meal even that more enjoyable. I have eaten at places with so-so food but returned just for some great views. These dishes are so mouth-watering! It’s great to see Paris has so much to offer in terms of food. I love how these meals are presented. Yes, the presentation of the food in some restaurants looks more like art than food! This is such a great suggestion! 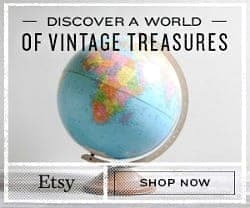 I consider myself a budget traveler, but I also don’t want my small budget to get in the way of fully enjoying the cultural experience of my destination. For me, one of these lunches would be a worthy splurge. Thank you so much for the comprehensive guide! You’re welcome Meghan:) We definitely love budget options too, but we feel a need to splurge sometimes as well on our trips and for us food and tours tend to be the things we splurge on at a least a couple times each trip.